Jayam, M Kumaran Son Of Mahalakshmi, Unakkum Enakkum, Santhosh Subramaniam, Thillalangadi, and Thani Oruvan are his best works till date as an actor in Kollywood. His last film Thani Oruvan was his best film and the movie ended up as the highest grosser among his films. Raja, brother of Jayam Ravi directed the flick which has a strong social message. The movie had Nayanathara and Aravind Swamy in the other lead roles and JR played a cop in the film. Thani Oruvan has been produced by AGS Entertainments and the movie is now being remade in many other languages. Ravi impressed a lot with his performance in Tamil cinema and is busy with back to back films. After the release of Robo and Baahubali: The Beginning, the market of South Indian cinema has been well expanded. The makers have been showing interest to produce films on a vast budget. South Indian films are even getting huge theater count in many countries across the world. He is now getting ready with his upcoming movie Miruthan which is said to be the first South Indian Zombie film. Jayam Ravi and Lakshmi Menon are playing the lead roles in this movie. Shakthi Soundar Rajan narrated the script which impressed Jayam Ravi and he has given his nod. The movie has been shot exclusively in Chennai and Ooty. Jayam Ravi worked hard for the film which has been made on a budget of Rs 75 crores. The flick completed shoot recently and the makers are quite happy with the response of the film. 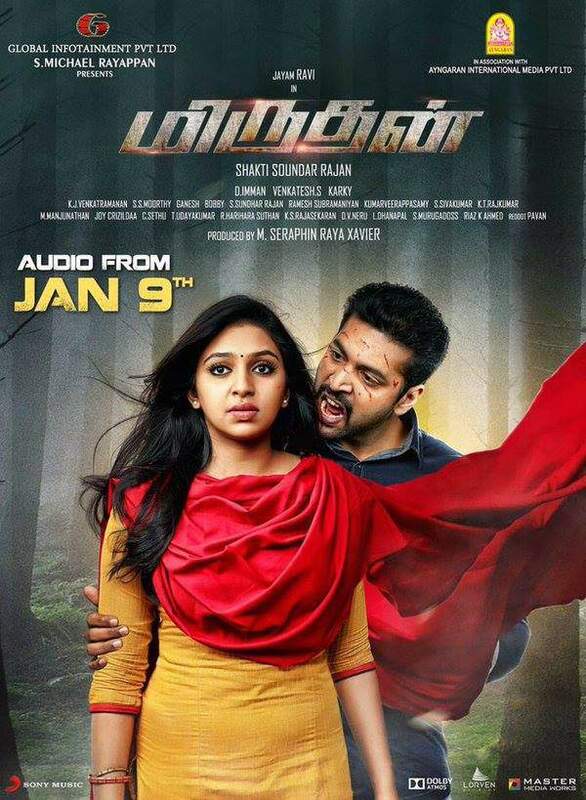 The theatrical trailer of Miruthan has been released and it is receiving an exceptional response from the audience. The trailer has been filled with interesting action episodes and zombies all around which has been defended by the lead actor. D Imman composed the music and the audio of the film will be released on January 9th all over. Miruthan is one of the most awaited films ok Kollywood in 2016 and the movie is about a deadly virus which turns many human beings into Zombies. This is the first movie of this genre in Kollywood and the movie has been slated for wide release on January 15th.